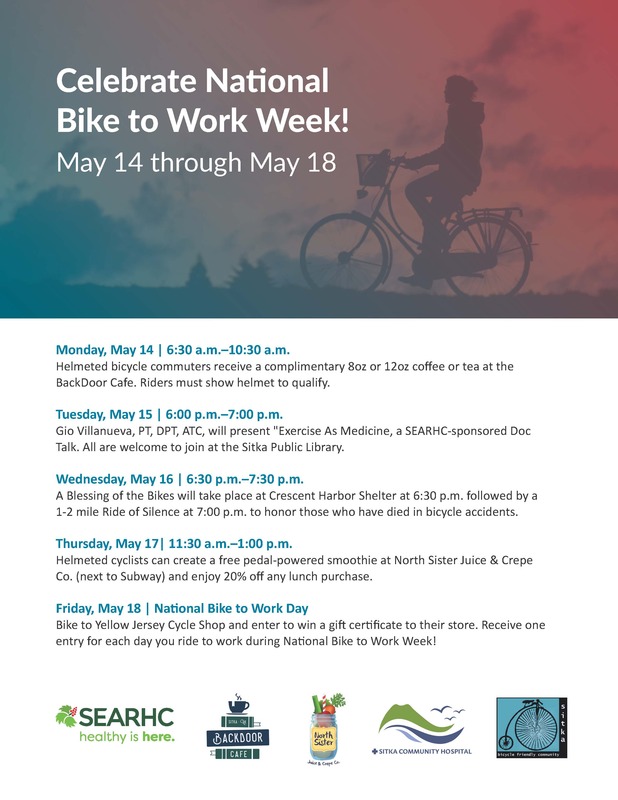 Monday through Friday, May 14-18, is National Bike To Work Week this year, and the schedule of Sitka events is fuller than normal for the week. 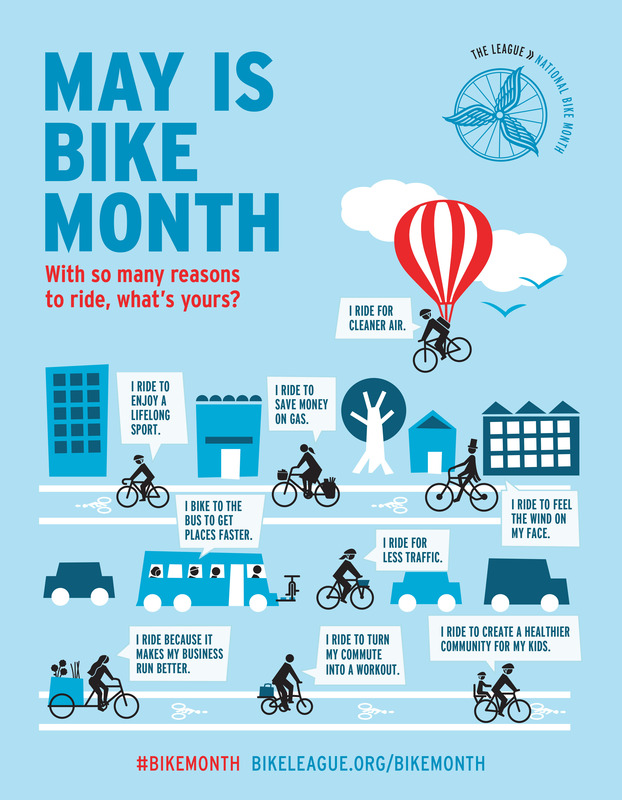 As usual, people who bicycle to work each day can stop by Yellow Jersey Cycle Shop and fill out an entry ticket for the contest to win a gift certificate from the store (the winning ticket is drawn at the Julie Hughes Triathlon on Saturday, May 19). But this year there are other events each day of the week to help keep people riding their bikes. On Monday, cyclists can start of the week with a free morning cup of coffee or tea (eight ounces or 12 ounces) from the Backdoor Café between 6:30 a.m. and 11:30 a.m. Riders must show a helmet to qualify. 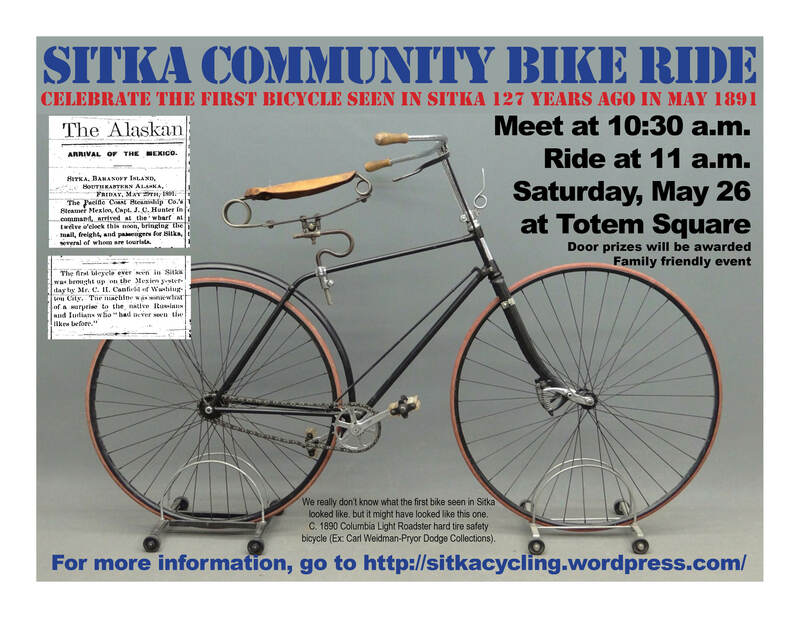 On Wednesday, Sitka joins the Worldwide Ride of Silence with a short, quiet ride through downtown Sitka. Cyclists are asked to meet at 6:30 p.m. at the Crescent Harbor Shelter for ride instructions and a brief Blessing of the Bikes with Rev. Julie Platson before we start riding at 7 p.m. 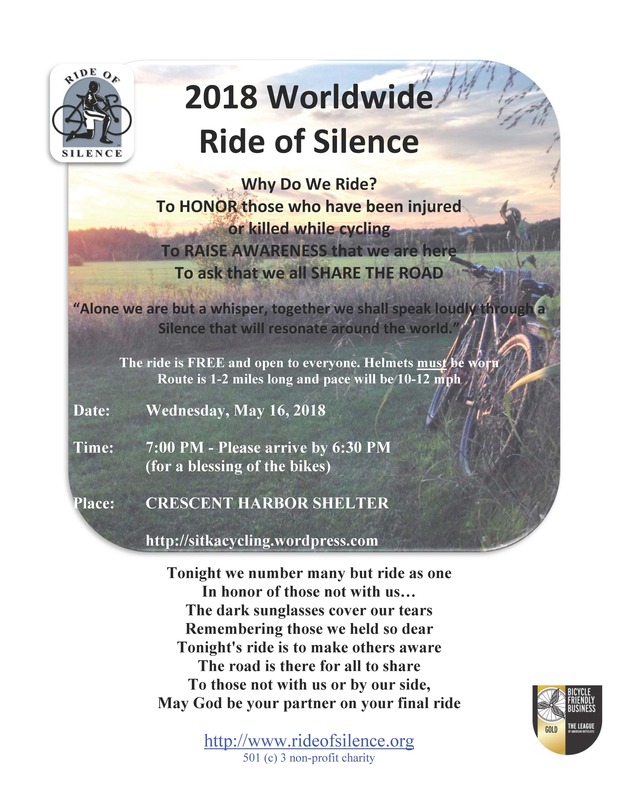 The Worldwide Ride of Silence is a series of rides that take place in communities all over the world at 7 p.m. on the third Wednesday in May to honor those cyclists who have been killed or injured while riding. Bike helmets are required for this event. On Thursday, cyclists will be able to use pedal-power to make their own smoothies at North Sister Juice & Crepe Co. from 11:30 a.m. to 1 p.m., and they’ll get a 20-percent discount on lunch. Again, cyclists need to show their helmets to get the discount. 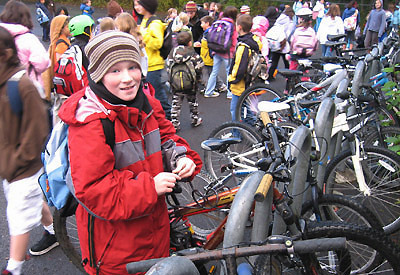 Friday, May 18, is National Bike To Work Day, and there will be a celebration of cyclists at the Sitka Health Summit‘s monthly Wooch.een luncheon at noon at the Sitka Community Hospital downstairs classroom. Some businesses in town are hosting special events for employees who ride to work on Friday (for example, SEARHC employees who show their helmets and ID badges can get a free lunch at the Island Skillet in Mount Edgecumbe Hospital). 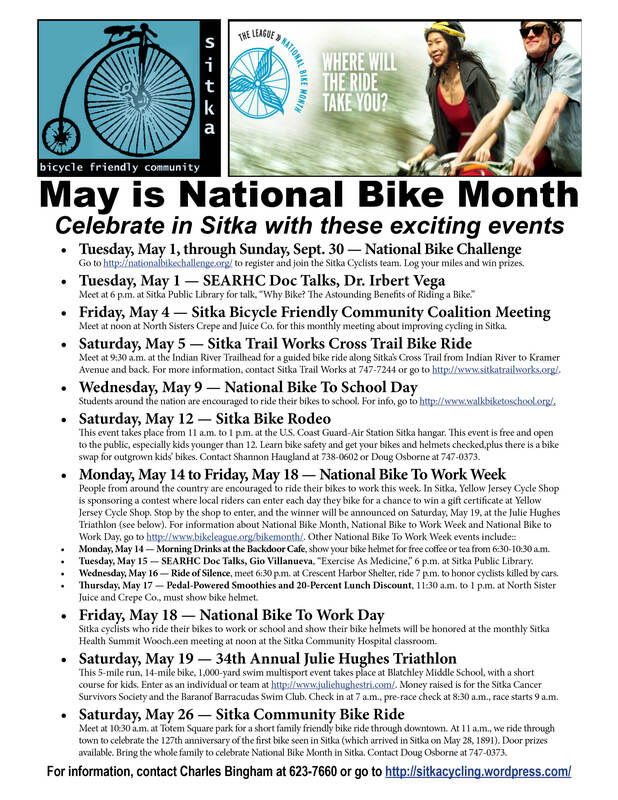 Don’t forget there is a variety of other events during May, which is National Bike Month, so click this link to see a full schedule of events in Sitka. 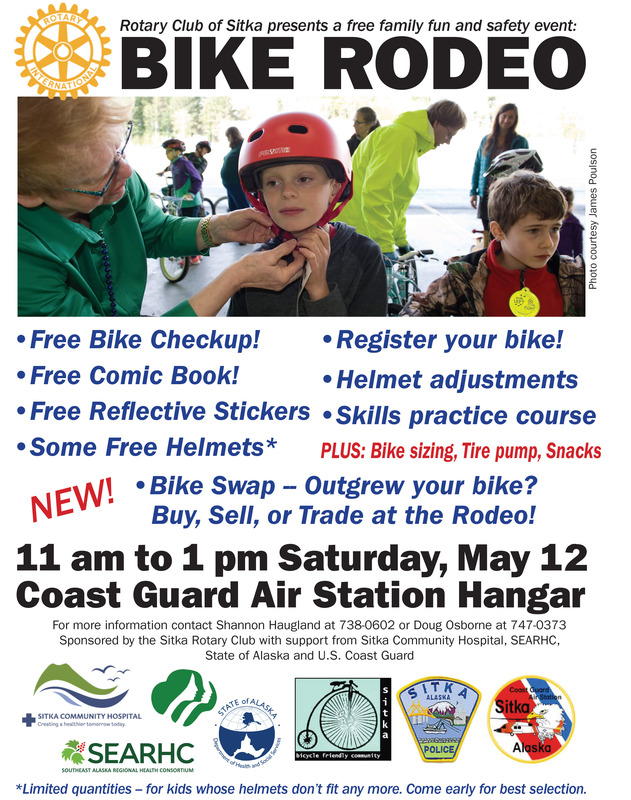 Other National Bike Month events include a Cross Trail guided bike ride, National Bike To School Day, the Sitka Bike Rodeo, and the Sitka Community Bike Ride. 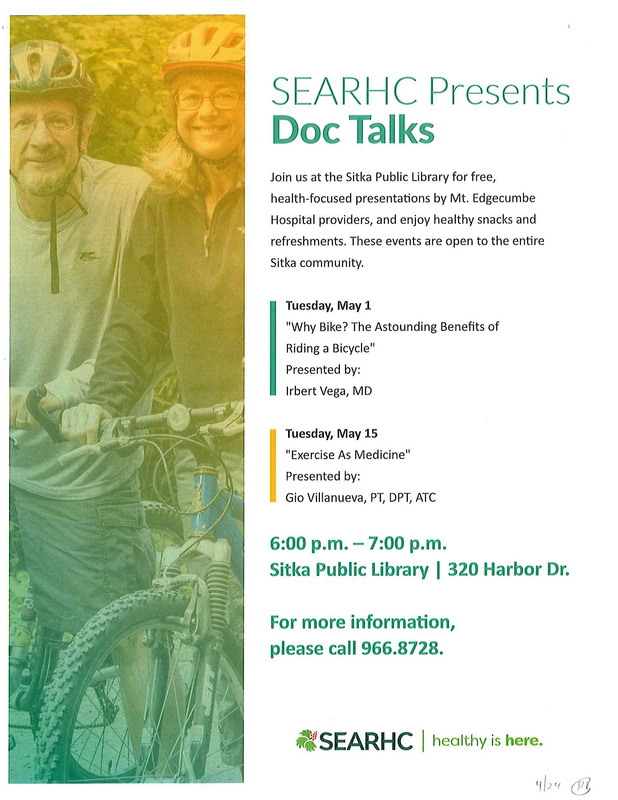 May is National Bike Month, and the SouthEast Alaska Regional Health Consortium (SEARHC) is hosting two Doc Talks this month focused on cycling and exercise. The first event is a talk called, “Why Bike? The Astounding Benefits of Riding a Bicycle,” presented by Irbert Vega, MD. Dr. Vega’s talk starts at 6 p.m. on Tuesday, May 1, at the Sitka Public Library. The second event is a talk called, “Exercise as Medicine,” presented by Gio Villanueva, DPT. Gio’s talk is at 6 p.m. on Tuesday, May 15, at the Sitka Public Library. Healthy snacks and refreshments will be provided. These free events are open to the entire community of Sitka. For more information, call Jo DeBell at 966-8728. Have you seen a SouthEast Alaska Regional Health Consortium (SEARHC) provider in Sitka since October 2017? 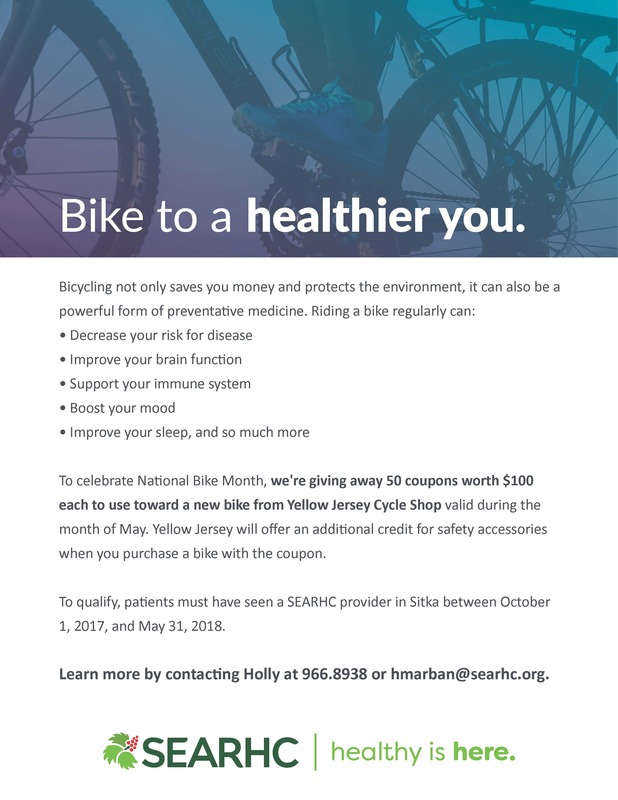 If so, SEARHC wants to give you $100 toward a new bike from Yellow Jersey Cycle Shop during the month of May, which is National Bike Month. In partnership, Yellow Jersey Cycle Shop also is offering an additional credit for safety accessories when you purchase a bike with this promotion. 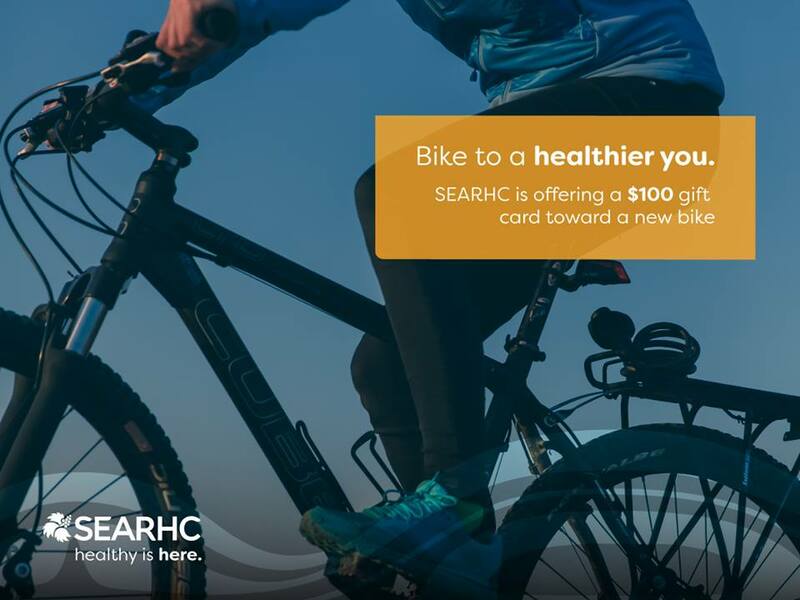 SEARHC will give away 50 gift certificates for $100 off the purchase of a new bicycle for patients who saw SEARHC medical providers from Oct. 1, 2017, through May 31, 2018. New patients can take advantage of this offer, too. Just schedule an appointment with a Sitka SEARHC provider before the end of May, or before the certificates are gone. 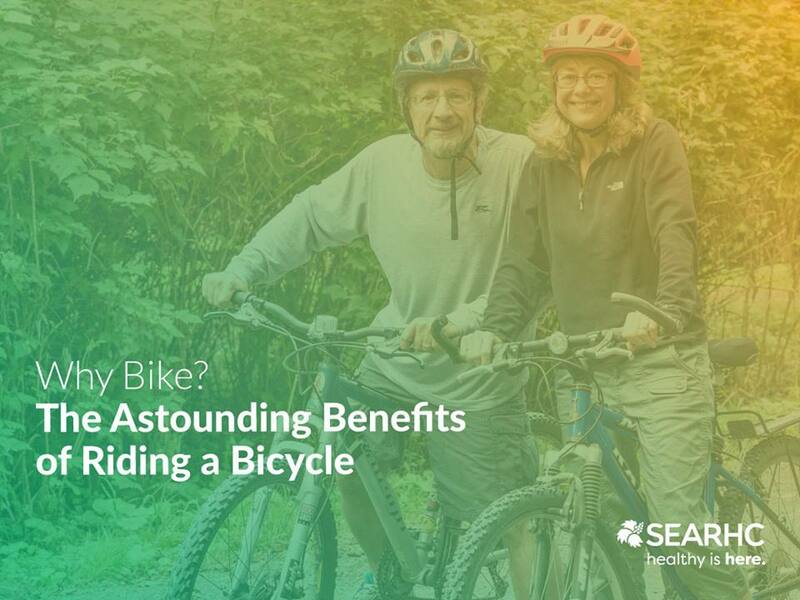 SEARHC’s Sitka Campus is one of seven current (down from 11) Bicycle Friendly Businesses in Alaska, and the only one outside Anchorage. This promotion demonstrates SEARHC’s continued passion for bikes. Learn more by contacting Holly Marban at 966.8938 or hmarban@searhc.org. 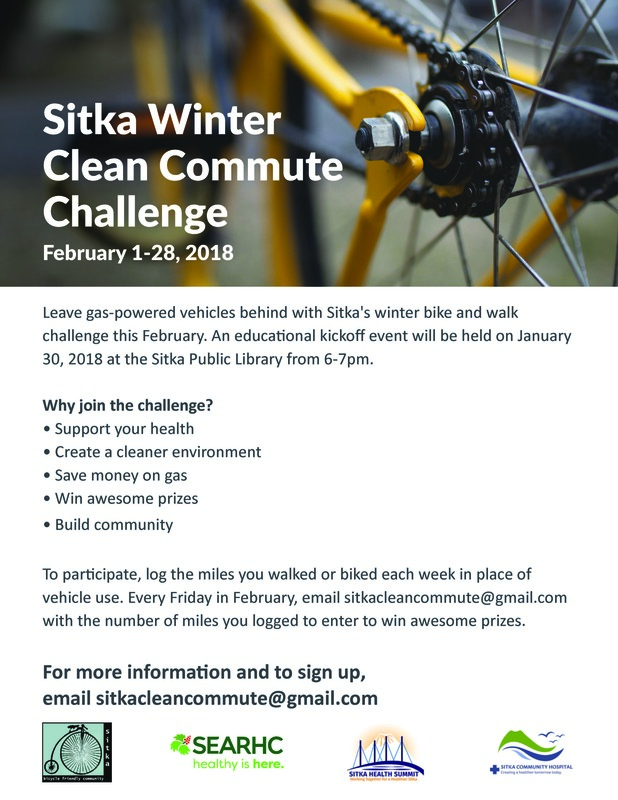 Sitka Community Hospital and the SouthEast Alaska Regional Health Consortium (SEARHC), in collaboration with the Sitka Bicycle Friendly Community Coalition, Walk Sitka, and Sitka Health Summit, will host the Sitka Winter Clean Commute Challenge during the month of February. 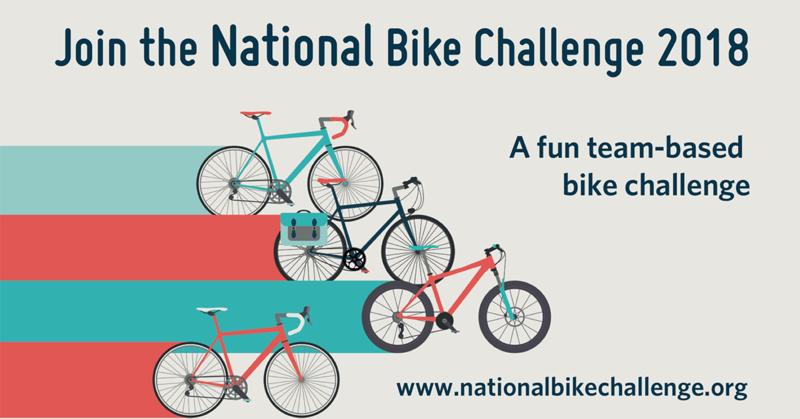 This event is a walking and/or bicycling commuting challenge where Sitkans can record and report their mileages while reducing carbon emissions, improving their health, and possibly winning prizes. This event starts on Feb. 1 and ends on Feb. 28. There will be a kick-off meeting from 6-7 p.m. on Tuesday, Jan. 30, at the Sitka Public Library. To participate, take at least one trip on foot or by bike in February, then log the miles you walked or biked in place of vehicle use. 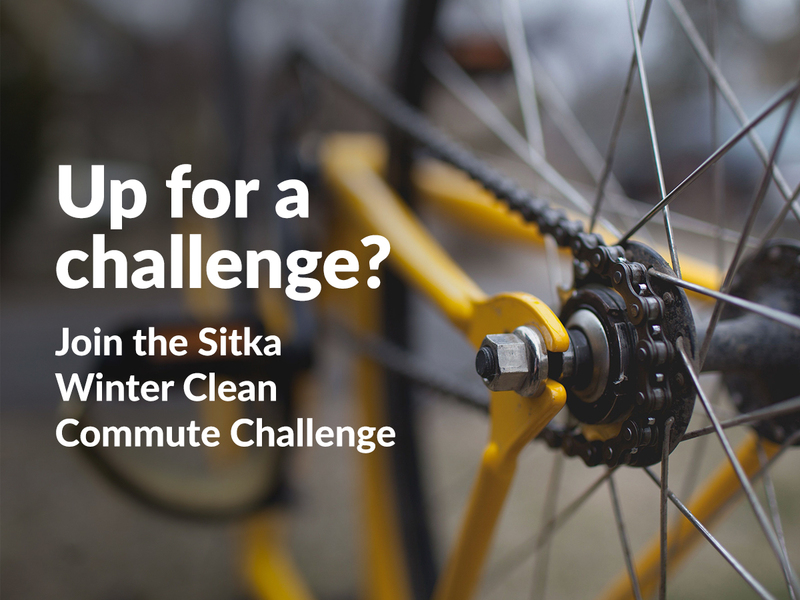 Every Friday in February, email the miles you logged that week to sitkacleancommute@gmail.com, and you will be entered to win awesome prizes, such as reflective gear, waterproof bags, and ice cleats. The first 20 people to send in miles walked or biked will receive a free reflective wrist band. Remember to be safe and visible on your commute. Always wear reflective gear in low lighting, a helmet when biking, and ice cleats when walking in slippery conditions. Participants will be able to record their bike rides for International Winter Bike To Work Day on Friday, Feb. 9 (there also is a bike to school division), or the kids can record their walks on Winter Walk Day on Wednesday, Feb. 7 (note, this is an event from Canada, but we get similar weather so why not). Questions can be directed to sitkacleancommute@gmail.com, hmarban@searhc.org, or dosborne@sitkahospital.org. Alaska was listed in 36th place when the League of American Bicyclists (LAB) released its 2017 Bicycle Friendly State rankings in mid-October. 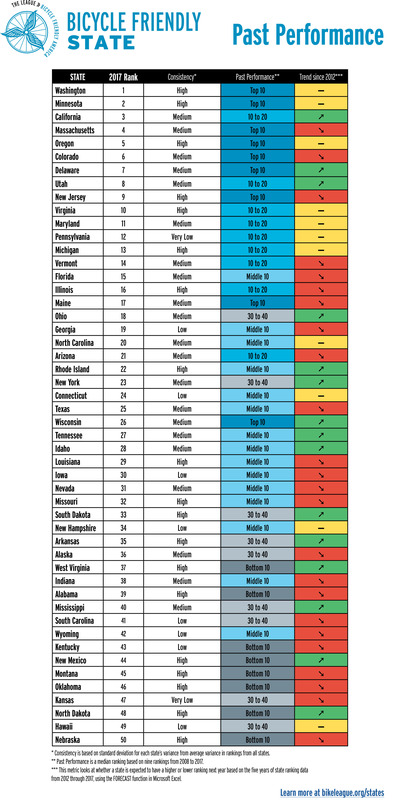 The Bicycle Friendly State ranking provides a ranking for all 50 states based on four public data sources and a Bicycle Friendly State survey that is answered by each state’s Department of Transportation and/or a statewide bicycle advocacy organization. Each state is ranked in five categories — infrastructure and funding, education and encouragement, legislation and enforcement, policies and programs, and evaluation and planning. The 2017 rank of 36th is within the normal range for Alaska, which typically ranks in the 30-40 range in this annual survey of bike advocates. In the last ranking in 2015 (there was no ranking in 2016), Alaska ranked 41st. Alaska’s top ranking was 29th in 2011 and its worst ranking was 47th in 2009. There have been several changes to the ranking system over the years, which caused some large rises and falls in the rankings. 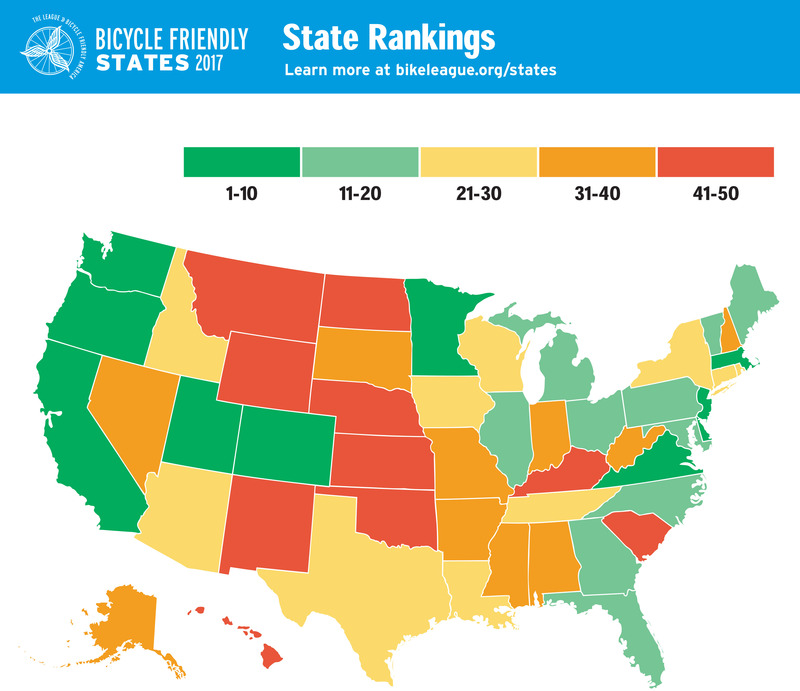 The 2017 Bicycle Friendly State ranking includes a ranking of each state, but crucially also includes a report card summarizing the data analyzed for each state and giving comparisons and feedback meant to help states, citizens, and advocates better understand where each state can improve. In the five categories, Alaska ranked 37th in infrastructure and funding and in evaluation and planning, 45th in policies and programs, 47th in education and encouragement, and 50th (last) in legislation and policies. Alaska was able to move up in the overall rankings because it ranked first in spending ($9.71 per capita in Federal Highway Authority spending on biking and walking), sixth in ridership (1.0 percent statewide commute to work by bike, 5.42 percent in Sitka), and 12th in safety (3.9 fatalities per 10,000 bike commuters). 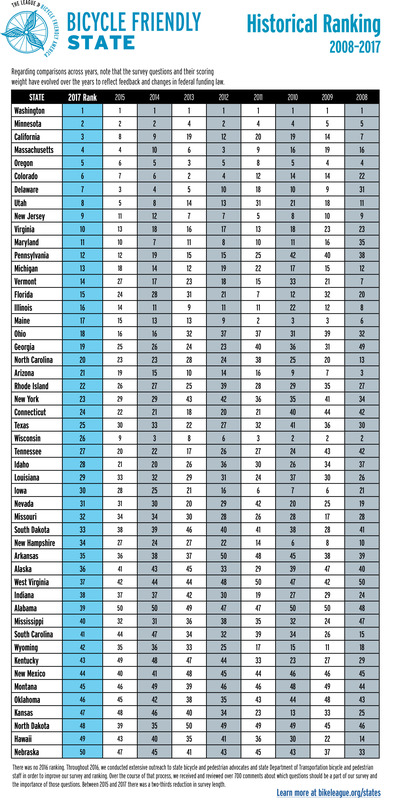 The Bicycle Friendly State rankings are part of the Bicycle Friendly America program (click Alaska on map to see list of awards) from the League of American Bicyclists. 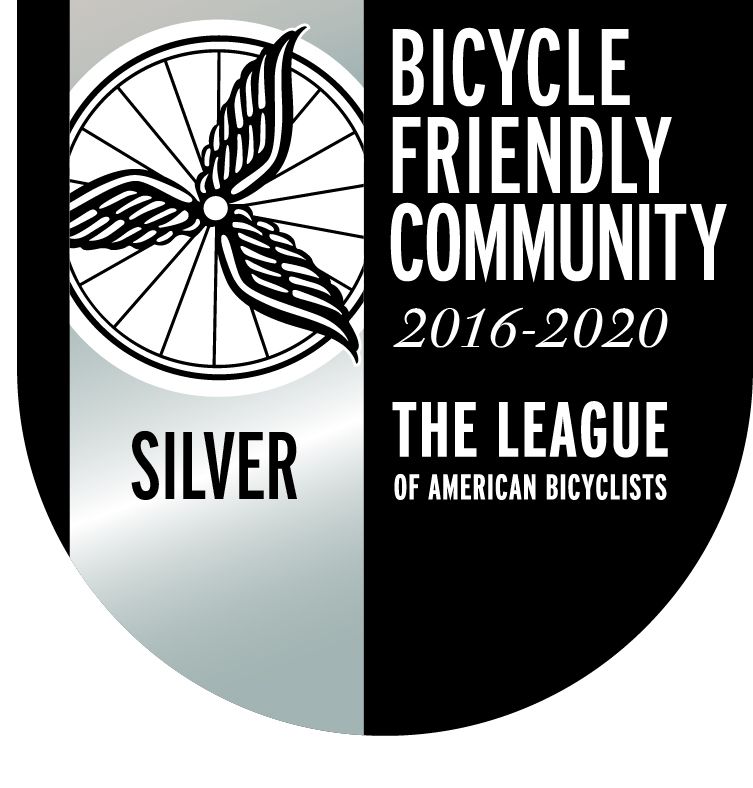 Alaska has three official Bicycle Friendly Communities (Sitka at the Silver level, Anchorage at Silver, and Juneau at Bronze, plus Fairbanks is honorable mention). 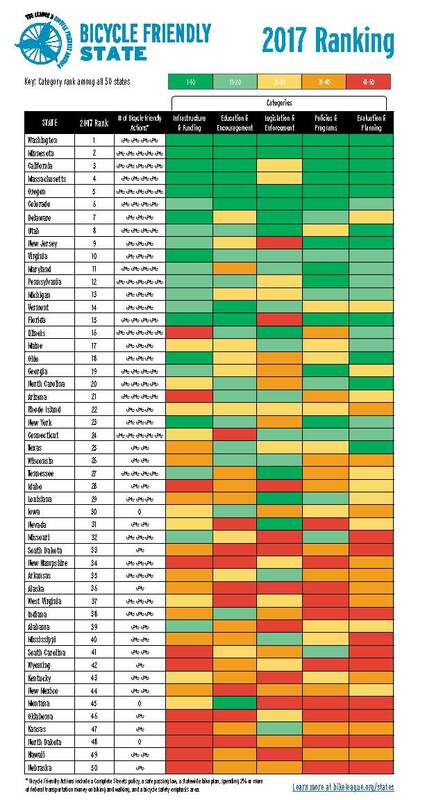 There are 10 Bicycle Friendly Businesses in Alaska ranking from Bronze to Gold level (nine are in Anchorage and the Bronze-level SouthEast Alaska Regional Health Consortium-Sitka Campus is the only one outside Anchorage). The University of Alaska Fairbanks (Silver) is Alaska’s only Bicycle Friendly University.